PRS guides students through their research journeys at PAU. PRS hosts workshops throughout the year to prepare students to develop their curriculum vitae, to navigate the challenges of research proposals, and to prepare posters for professional conferences. PRS also provides support for students as they define their research interests. PRS holds an annual research conference, the "Pacific Research Forum." At the Forum, PAU students present their research interests, proposals, and completed projects to their colleagues and faculty. 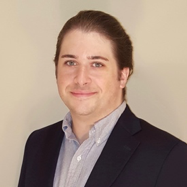 Ryan Thompson (President): Ryan is a 2nd-year PhD student at Palo Alto University in the Neuropsychology Area of Emphasis. He received a BA in Anthropology from Wake Forest University and a MEd in Counseling from The College of William & Mary. He is a member of Dr. Hirst’s Behavioral Research and Assessment in Neuropsychology Lab, looking at the neurocognitive effects of sports-related concussion in children and adolescents and chronic cannabis use in adults. He is also affiliated with the Defense and Veterans Brain Injury Center at the VA Palo Alto Health Care System. His research interests include cognitive and affective neuroscience, acquired and traumatic brain injury, neuroinflammation, and multilingualism. 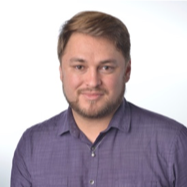 Jonathan Clinkenbeard (Vice President): Jonathan is a 2nd-year PhD student at Palo Alto University interested in LGBTQ psychology. He received a BA in Psychology from California State University, San Bernardino and a MS in Experimental Psychology from Central Washington University. He is a member of Dr. Balsam's Research on Intersectional Sexual and Gender Identity Experiences (RISE) Lab and works in the Sexual and Gender Identities Clinic. He has previously worked in community-based participatory research and is currently focused on sexual and gender minorities research. His goals are to enter into academia and focus on teaching, research, and community advocacy. Vicky Bouche (Secretary): Vicky is a 2nd-year PhD student at Palo Alto University interested in child and adolescent psychology as well as community mental health. She received a BA in Psychology and French Studies from Scripps College and a MA in Child and Adolescent Development from Sorbonne University. She is in the Diversity and Community Mental Health area of emphasis and a member of Dr. Patel’s Culture, Community, and Global Mental Health Research Lab, exploring the trajectories of risk and resilience for newcomer immigrant adolescents as the Pathways to Success Project Manager. 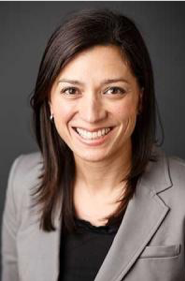 Her clinical and research interests include the adaptation of therapy and assessments to minority populations, risk and resilience factors in immigration patterns, and intergenerational transmission of trauma. 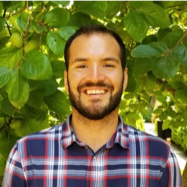 Joe Razo (Treasurer): Joe is a 2nd-year PhD student interested in psychometrics, advanced research methodology, and veteran and first responder mental health. He received a BA in Psychology from University of California, Irvine. He is a member of Dr. Wickham’s Interpersonal Relationships and Applied Methods (IRAM) Lab, working towards collaborating with the Palo Alto Fire Department on a program development project. His interest in clinical psychology began in the Navy, where he was inspired to develop ways to promote mental wellness among military service members, and grew to include first responders, such as law enforcement, fire fighters, and emergency medical service personnel, during his undergraduate career. He is also on the Student Veterans Organization board and plans to pursue a career in academia upon graduation. 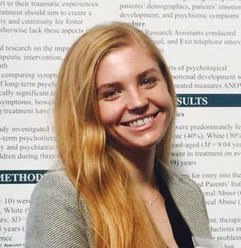 Kenzie Bohnsack (Public Relations Officer): Kenzie is a 2nd-year PhD student at Palo Alto University interested in forensic and trauma psychology in adolescent populations. She received a BA in Psychology and MA in Clinical Psychology from Loras College. 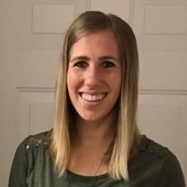 She is a member of Dr. Fanniff’s Developmentally Informed Policy & Practice Lab, working on a research study regarding how mental health professionals engaged in forensic assessment incorporate cultural factors into their evaluation process. Her previous research experience entails a cross-cultural research study and developing research proposals. The cross-cultural research led to a formal poster presentation at the Tristate Psychological Conference and Midwestern Psychological Association Conference. 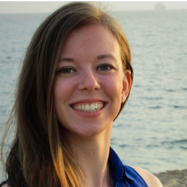 Patricia Scherer (First-Year Liaison): Patricia is a 1st-year PhD student at Palo Alto University interested in neuropsychology and trauma. She received a BA in Psychology from the University of San Francisco where she minored in Neuroscience and worked at the Foster Care Research Group evaluating treatment for childhood trauma. Upon graduating, she worked at the University of Southern California in the Emotion and Cognition Lab, investigating emotion-cognition interactions using fMRI. Her research interests include neuroimaging and the effects of early childhood trauma on stress response, emotion, attachment, and antisocial personality disorder. She plans to pursue a career in academia focusing on teaching, research, and policy advocacy. Sita Patel, PhD (Faculty Advisor): Dr. Patel is a clinical and community psychologist with research interests in global mental health as well as culture and context as they relate to immigrant mental health. She received her undergraduate degree from Vassar College and her PhD in Clinical Psychology from University of California, Berkeley, completing her pre-doctoral internship at the Columbia College of Physicians and Surgeons (St. Luke’s-Roosevelt Hospital) and her post-doctoral fellowship at University of California, San Francisco. Dr. Patel was awarded a University of California, Berkeley Dissertation Award in 2006, an American Psychological Foundation Graduate Research Award in 2008, and a NIH Health Disparities Research Loan Repayment grant in 2009. Prior to joining the Palo Alto University faculty, Dr. Patel was an Adjunct Instructor at New York University, University of San Francisco, and University of California, Berkeley. Dr. Patel directs the Culture, Community, and Global Mental Health Research Lab at Palo Alto University, and her work uses mixed-methods approaches to study acculturation stress; psychological, social, and academic adjustment; and access to treatment for mental illness among immigrant and minority populations. Her current projects include a longitudinal school-based study of risk and resiliency among newcomer adolescent immigrants; an evaluation study of California policies related to limited English proficiency adults in mental health care; a community partnership focusing on refugee mental health and access to treatment; and a study of trauma healing as a component of peace building in the Central African Republic.